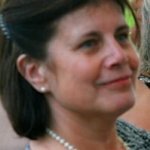 A blog for non-medical readers by Lynda Ware, Senior Fellow in General Practice with Cochrane UK. According to my three daughters, this was my stock response to any request they made for motherly intervention when pain struck. Whilst refuting this slur utterly (and the one about not even looking), I might now point them in the direction of this updated review, which assesses the efficacy and safety of topical nonsteroidal anti-inflammatory drugs (NSAIDs), albeit in the context of chronic musculoskeletal pain rather than a bruised shin or finger. What’s more, I will point out that it’s likely that the carrier, to which the active drug is added, is pretty effective in its own right. In 2008 and again in the 2014 update, the National Institute for Clinical Excellence (NICE) recommended topical therapies as first line treatment in its guideline for osteoarthritis. 5.8 million prescriptions for topical NSAIDs were issued in 2014 in England, mainly for ibuprofen and diclofenac formulations. Topical NSAIDs are, of course, also available over the counter without a doctor’s prescription. Applying topical NSAIDs to the site of the pain seems a logical thing to do. They can act precisely where they are needed without first having to be absorbed via the stomach and then transported in the blood. This reduces the possibility of side-effects such as gastric irritation. Topical NSAID formulations act most effectively on more superficial sites of pain such as in osteoarthritic joints in the hands and knees. They are not indicated for treatment of deeper seated joints such as hips or spine, or for deep visceral pain or headaches. They come in various forms such as creams, gels, sprays and plasters. It is important not to apply them to broken skin. What does this review look at? This review, from the Cochrane Pain, Palliative and Supportive Care Group, is an update of the original systematic review published in 2012. Five new studies have been added, bringing the total to thirty-nine. The number of participants is now 10,631- an increase of 38%. Most of the studies compared a topical NSAID with its carrier constituent; other studies made a comparison with other active preparations. In all of the studies the chronic musculoskeletal condition was osteoarthritis, mainly in the knees. The participants were aged 16 and above and had suffered chronic musculoskeletal pain of at least moderate intensity for at least three months. The mean age in the studies ranged from 59 to 65 years, with some studies including participants aged 90 years or more. Most studies looked at diclofenac or ketoprofen in solution and gel. The primary outcome of the review was pain reduction and the best indicator of “clinical success” was defined as at least 50% reduction in pain as judged by the participant. Other tools to judge pain relief included participant-reported assessment of treatment, pain on movement and pain at rest or that occurred spontaneously. Secondary outcomes were adverse events and numbers of participants who withdrew from the studies. The evidence was mainly of moderate quality (this means that further research is likely to have an important impact on the confidence in the estimate of the effect and might even change it). Around 60% of those using the topical NSAID preparations had reduced pain after 6-12 weeks (ketoprofen was a little more effective than diclofenac). Interestingly, around 50% of people using the carrier preparation also experienced good pain relief! Skin reactions were more common with topical diclofenac (20%) than with topical carrier (5%) but there was no difference between topical ketoprofen and topical carrier (moderate quality of evidence). Serious adverse events were uncommon. …just put some cream on it! Topical preparations of diclofenac and ketoprofen probably give good levels of pain relief in osteoarthritis. It appears, however, that a significant element of their analgesic effect is through the carrier, with the NSAID component a small added bonus. Real food for thought…. Can topical NSAIDs help relieve the pain of arthritis? by Lynda Ware is licensed under a Creative Commons Attribution-NoDerivatives 4.0 International License. Based on a work at http://www.cochrane.org/CD007400/SYMPT_topical-nonsteroidal-anti-inflammatory-drugs-chronic-musculoskeletal-pain-adults. Permissions beyond the scope of this license may be available at http://onlinelibrary.wiley.com/doi/10.1002/14651858.CD007400.pub3/abstract. Images have been purchased from istock.com for Evidently Cochrane and may not be reproduced. Derry S, Conaghan P, Da Silva JAP, Wiffen PJ, Moore RA. Topical NSAIDs for chronic musculoskeletal pain in adults. Cochrane Database of Systematic Reviews 2016, Issue 4. Art. No. : CD007400. DOI: 10.1002/14651858.CD007400.pub3.